What is the best site to start a blog for free? As a beginner mostly we try to start with free staffs. So, in this article, I will be talking about the below listed top 5 free blogging platforms. You can easily create a free blog for free. Blogging is a wonderful way to express your thoughts and experiences. But blogging is no more limited to hobby anymore. People are making a good amount of money from their blogs. Which Blogging Platform to Choose? Broadly there are 2 types of blogging platforms available: Free blog or self-hosted WordPress platform. Now the first one is the easiest one and you hardly need any money to set up your blog. Only you have to buy a custom domain name. But in case of the self-hosted blog, you need a web hosting. And then accordingly many other things to set up your WordPress site. Personally, I have started my first blog on Google Blogspot platform with a custom domain name. It is very easy to set up a blog on free blogging site like Google blogger as you don’t have to bother about hosting. But gradually I learned a lot of things and moved to WordPress platform. If you are serious about your blogging business, then I would recommend you to learn how to start a blog on Bluehost with a massive 66% Off Bluehost discount. I have shared a complete blogging course to set up your own blog. Is that mean, free blogging sites are not good to start? It’s not like that. As I have mentioned, most of the people start a blog driven by their hobby or passion. And they mostly not sure what could be the future of that blog. So, in such a situation, it is always recommended to start a blog for free on free blogging platforms only. As you can migrate to self-hosted WordPress platform anytime future. How do you start your own blog for free? That’s what I am going to discuss here. You might have read top 10 free blog sites or similar articles where a big list of such websites is available. But, I think only 1 is enough to kick-start your first blog. Anyway, here is the list of top 5 free blogging sites. This is one of the most trusted and very popular blogging platforms. In fact, many people know about blogging from Blogspot itself only. I have created my first blog on Google blogger platform back in 2007. Although I use WordPress for most of the blogs, still I have a couple of blogs on Google Blogger platform. You can easily find many free SEO optimized blogger templates, fast loading templates with plenty of features. You don’t have to worry about website speed as your website is hosted on Google servers. Besides that, there is no limit of traffic or you don’t have to worry about the website go down due to heavy resource usage or high traffic. Buy a custom domain and easily link that with your Web 2.0 address. Now you can easily enable HTTPS also on Blogger.com absolutely for free of cost. Even if you don’t use a custom domain, you can enjoy the high domain authority of blogger platform and rank your articles easily. Highly recommended for beginner level bloggers, event bloggers, micro niche Adsense websites. A lot of free tutorials available and that’s why it is very easy to tweak any blogger template. The biggest limitation of blogger platform is that you don’t have any control on the website as it is hosted on Google servers. In case you violate any terms, your website may go down overnight (that’s the drawback of any free blogging platforms). The #2 best free blogging site is without any doubt the WordPress platform (not WordPress.org). 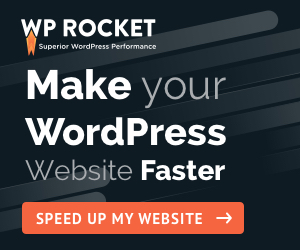 It is very easy to create a website with WordPress.com (similar to Google blogger) and the best part is, there are many awesome SEO friendly Free WordPress themes available. Is WordPress for free? As said already, WordPress has both free & paid versions. But free WordPress platform has many limitations compared to Google blogger platform. You can’t use a custom domain. You have to continue with the yourdomain.wordpres.com only. In case you want to have a custom domain, you have to migrate to WordPress.org and host your website on any web hosting platform. Although there are millions of free WordPress themes available, if your blog is on WordPress.com then you can only access those free theme which is available in their directory only. You will find it very difficult to monetize your blog with Google Adsense or Amazon affiliate. If you are really serious about starting a blog and make money online, then you should buy a good hosting plan (including Free Domain name) and kick-start blogging on self-hosted WordPress.org platform only. Weebly.com is another awesome platform to start a blog for free. If you want to you can migrate to their premium platform as well where you can host your website, get a top level domain and many more features. In fact, you will find many people are running small micro niche affiliate website on free weebly.com platform itself. What I like about Weebly is their design platform where you can easily change the layout of your blog simply by using the drag & drop feature only. Compared to Blogspot or WordPress, you hardly need any HTML knowledge to do customization. Simply use the in-built drag and drop items to create menus, pages, categories etc. In case you want to link a custom domain and explore features, then you have to go for premium plans of Weebly. Tumbler is another platform where I found many people are starting free blogs using the huge collection of themes and templates. But what I feel is it is perfect for those people who are blogging for a hobby. The look and feel might remind you some resemble with WordPress or Twitter, but I will say it is another good Google blogger alternative to start a blog for free. I can remember once I have started a free blog on Wix.com just to explore the how easy to customize their template and design a catchy website. Is a Wix website really free? They have come with a very solid drag & drop framework on which one can achieve complex design websites in minutes. It was really good and recently I have noticed that many people are starting some good design website using their free templates. If you don’t like any of the top 4 free blogging platforms, then you can give it a try. Want to set up a profitable blog to make money online? Are your serious about setting up your blogging business? Then you should consider starting your own self-hosted WordPress blog (step by step tutorial). Explore more web hosting coupons. Although there are various other free blogging platforms available like LiveJournal.com, Blog.com, Penzu, Squarespace, Svbtle, Edublogs.org, Medium, Ghost, Postach, Jimdo, travelpod.com etc. But I think only Blogger.com and WordPress.com are the 2 best free blogging site to consider. And here are the top reasons for that. Both are reliable, secure and faster. If you don’t know how much money can you make from a blog? Then let me tell you that blogging is no more just fun or hobby. There are people who are making millions every month just from their blogs. So, if you are serious about making money online using your blog then try either Blogger or WordPress from the list of free blogging sites. Gradually work on building your website traffic and at right time migrate to the self-hosted WordPress platform. Anyway, you can share your thoughts and experience about the best free blogging sites by writing a comment below. Hi mate! after long time visit your website … you always provide best helpful tips to your blog visitors, is it really worth to start a free hosting services. Here, am sharing my experience with free blog services. As usual like many beginners i also started a free blog with one of the top web2.0 platform (weebly), i spent almost 3 to 4 days to create a blog and after 5 day i got a mail from weebly, mentioned your blog is blocked and the reason is used some custom html tags, which is not allowed for free service. Update to premium and you can use however you want. i was disappointed, with out wasting my next second, Purchased a domain hosting from godaddy server. So, the free blogs are not under our control, we don’t know when it will be blocked and for commercial blogs, free hostings are not really worthy. Just i shared my experience.. but some people still make money with free blogs..
You are absolutely correct Charan. People are there who are making good money from free blog platforms also. But for people like you and me, who are planning to stay for long run in blogging industry better to start on a self-hosted blogging platform and execute the plans as per our blogging plan only. Many thanks for sharing your valuable experience here.